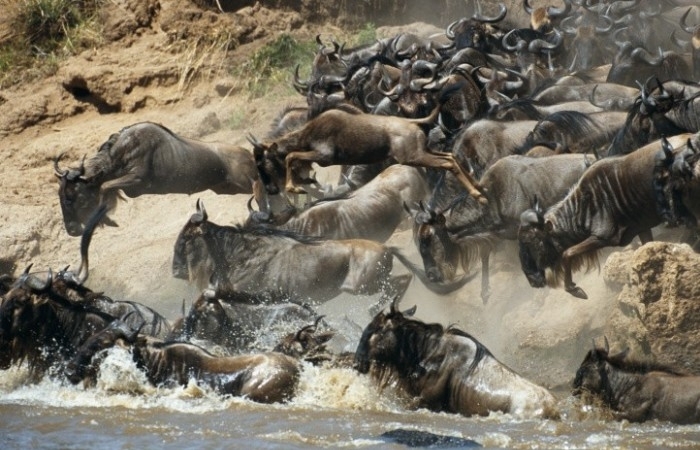 We accept Bookings for 6 Days / 5 Nights Samburu, Aberdares and Masai Mara at any given time of the season. This tour starts and ends in Nairobi. It covers the northern side of the country to the southern. Itâ€™s one of the best tour packages. You will explore Samburu, Aberdares, Lake Nakuru National Park, before continuing to the Mara for a first class game viewing experience. This morning we travel by road to Kenyaâ€™s northern frontier. Wild and rugged, Samburu is fiercely beautiful with its arid savannahs watered by the lovely Uaso Nyiro River. 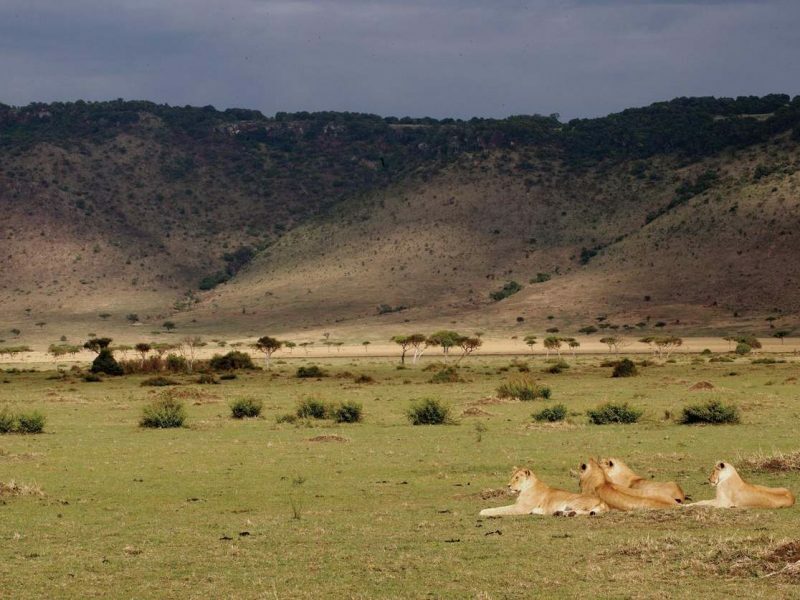 It is also one of Kenyaâ€™s most protected areas and home to species only found north of the equator, from the reticulated giraffe to Grevyâ€™s zebras and Beisa oryxes. We also enjoy Larsens Tented Camp or Samburu Intrepids Camp, our luxurious hostelry set beneath a canopy of acacia trees along the banks of the river. Dawn breaks in golden bands as we start our day in the bush by scanning the river from our tentâ€™s veranda with a cup of steaming coffee in hand. Before the dew is off the grass, weâ€™re off in pursuit of the elephants, lions, leopards, and cheetahs that thrive in the reserveâ€™s grasslands and acacia woodlands. 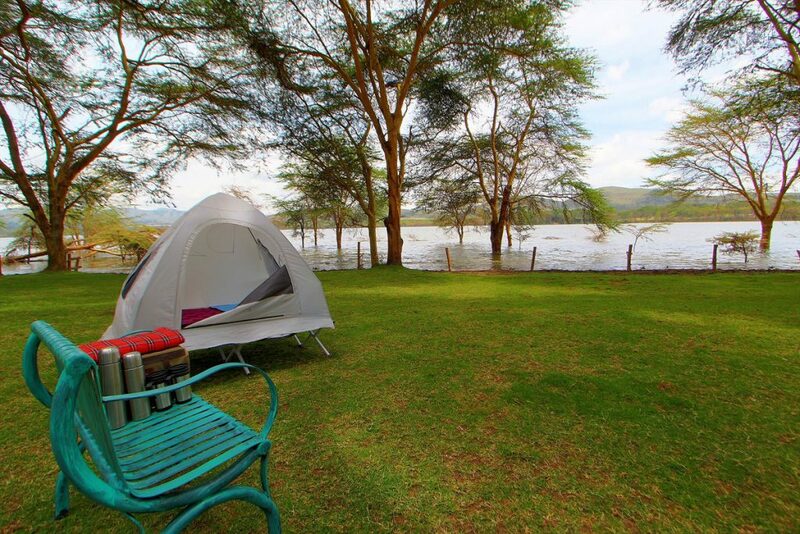 And so the day is spent in alternating pursuits of exploration in the bush and relaxation in our cozy camp. This morning we depart Samburu and proceed south to The Ark forest Lodge or Serena Mountain Lodge. Nestled in the foothills between Aberdare and Mount Kenya National Park, the lodge is famous for its high perches and balconies, overlooking a salt lick and waterhole. Boasting a remarkable record of wildlife sightings from their floodlit waterholeâ€™s and salt licks, here we will enjoy the finest in high-altitude game viewing. 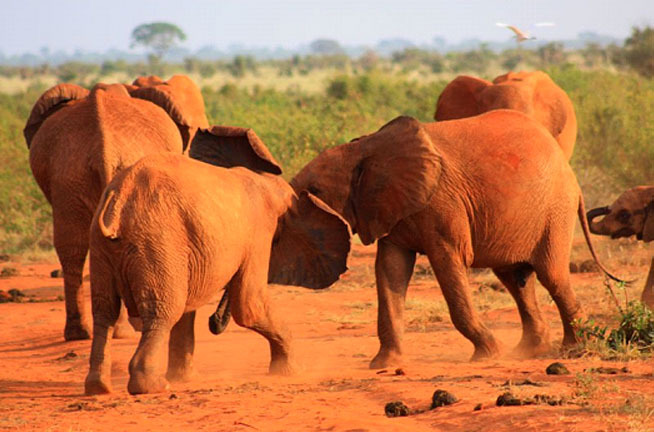 This morning we depart our tree lodge and drive through the scenic Athi Plains and into the bush country of Amboseli National Park, home to the legendary Masai tribesmen and famous for huge herds of Elephant. A spectacular game run en-route is planned. Following a delicious lunch we set off for another spectacular â€˜Spiceâ€™ game drive. 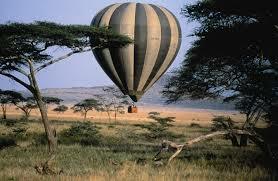 Amboseli is big game country: Lion, Cheetah antelope, Zebra, Wildebeest, buffalo and giraffe. The afternoon game run is planned to introduce you to intense beauty and drama that fill each day here. Africaâ€™s highest mountain, Kilimanjaro â€“ can be seen from all the lodges that â€˜African Spiceâ€™ uses. This morning we rise early for good views of Mount Kilimanjaro before clouds build up over the summit, we set off for a â€˜Spiceâ€™ game drive. Amboseli is an excellent place to view a multitude of wildlife, including everything from Wildebeest to Giraffes to Baboons. A visit to a Masai village is planned after breakfast. Midday finds us at our lodge for lunch and afternoon rest, followed by another â€˜Spiceâ€™ game drive. Amboseli is home to the legendary Masai tribesmen. Masai warriors are famous and are proud nomadic tribe whose legendary prowess in battle and single-handed acts of bravery in fights with the wild animals are known across the world. 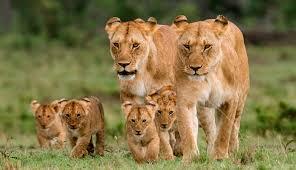 After an early morning game drive followed by breakfast at the lodge, we return by road to Nairobi to your hotel. 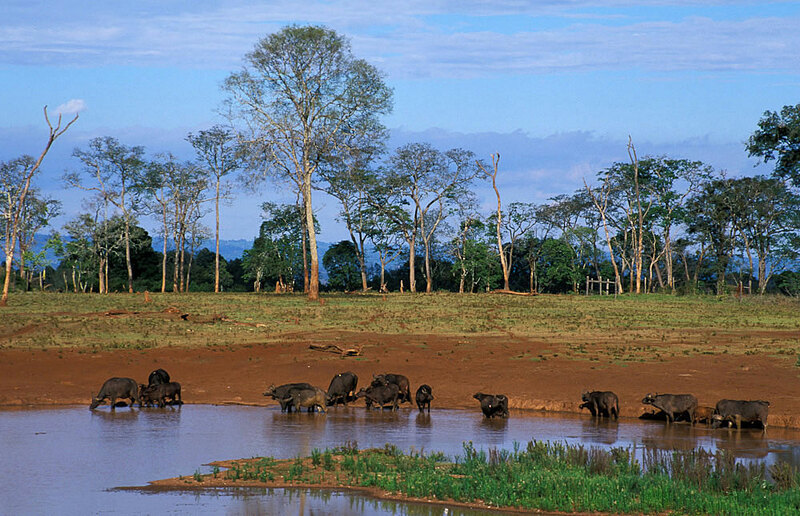 Connect with one of our other exciting safari packages. 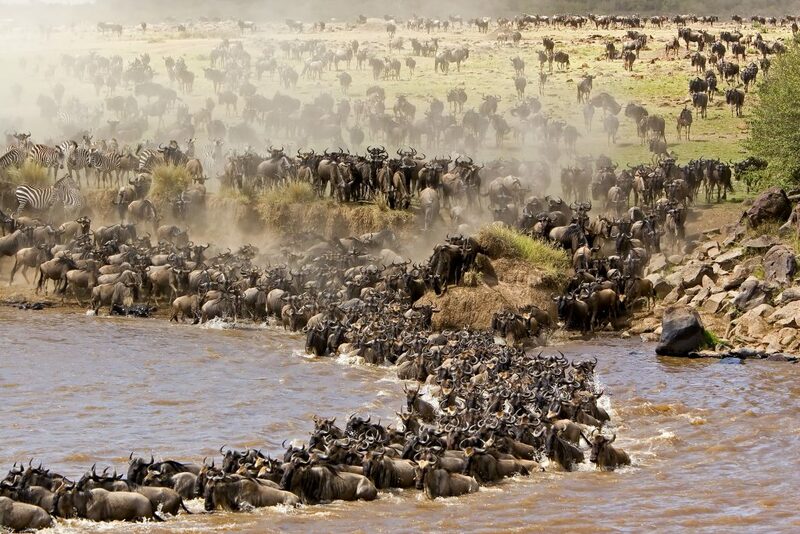 Your choice of â€“ the exotic Masai Mara Game Reserve, the world famous Lake Nakuru National Park, perhaps a climb up Mt. Kilimanjaro, or relax on the clean white sandy beaches of Mombasa Island along the warm Indian Ocean, are some of the wonderful options available. You can also choose to visit a childrenâ€™s orphanage, explore the shops or simply relax before your departure tonight.